Symphony Rooms is a new, innovative state of the art venue in the heart of Leicester, catering for all occasions. This stunning venue combines elegance with a modern edge, lavishly decorated to provide a vibrant yet relaxing ambience. The venue comprises of a stylish reception area and a main concert hall designed to suit all tastes. 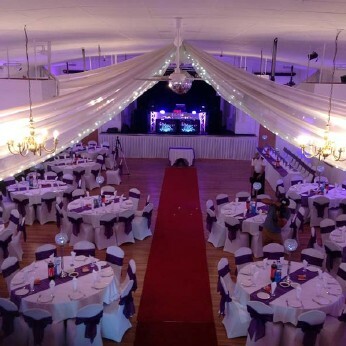 Here at Symphony Rooms we cater for weddings, receptions, parties, concerts cooperate events and specialise in themed nights. Our priority is to make your day unforgettable by tailoring to your needs. If you are interested in holding a event at the Symphony Rooms please contact us and make sure to keep checking our upcoming events page to see what we have going on. It's the final weekend of the Six Nations tournament and Ireland have the chance to complete the coveted Grand Slam for only the third time in the team's history - but they'll have to get through the English champions to do it!